The recipe colors on the cards are in the same order: white, blue, green, red, black. Set out the draw gem stacks and keep your personal stacks in the same order. This makes it easy to see if you have what you need and to find the gems you want. This makes play go a little faster. Unfortunately, the recipes for the nobles are in a different order. Maybe that’s an oversight that will get changed in a future edition. 1) The number of 2nd and 3rd row cards taken is very low. The predominant strategy is to go for the Nobles. 2) If the nobles are all looking for a common gem/color, one player can pretty much control that gem and run the table of nobles. This is not uncommon for two players. 3) Reserving a card is too costly for 2 players. (There is no gold in the game). 4) These are much less likely with more players. Try this simple variant for 2 players. Set out only 2 nobles instead of 3. In a few plays this seems to mitigate the runaway leader and makes the game a little different with players going for the 2nd and 3rd row more. There is nothing wrong with the game the way it is, but this changes it up a bit for those of us who have played it a lot. The Basilisk is a particularly brutal boss when playing with fewer players (1-2, maybe 3) – since he limits the ability to get the necessary cards to the player taking a turn. In the solitaire game, it can basically make winning impossible. I suggest that when the basilisk is in play that the player only be limited to 1 discard/draw action, rather than being completely prohibited. Another option is to eliminate the Basilisk monster token from the available bosses for solitaire games, but I would rather tweak him to his normal strength than eliminate him. Added: In the solitaire game, the player is permitted 2 trades with the deck. Presumably 1 of these is to represent the normal game rule of 1 trade and the other is to replace the inter-player trade allowed in a multi-player game. In a multi-player game the Basilisk only blocks 1 of these 2 trades, but both in solo play. Use the room and the small minions to your advantage with the large ones. Due to the minion placement rules, this is not always possible, but look for options to keep them at bay, behind the little guys. The tendency is to either stand your ground or attack when sometimes, though maybe not often, moving to a more strategic location is the best first action. When the initiative track is not exactly in your favor, wait on minions or move to a space that you can time your first enagement with them on your own terms – where you are out of their range, but they are within yours. Then Pounce! In my experience the most overlooked/forgotten action is Scurry. Don’t forget this valuable ability. Anyone who has had a “pet mouse” in the house (invited or otherwise) knows that a mouse never forgets this inherent ability. I find that as long as there are minions on the board, everyone is fixated on them. Don’t forget, “Time is short” and you have a quest to complete. Divvy up responsibilities based on the abilities of your mice and keep working on all the tasks at hand, not just the minions. Heal! Move to or near locations that are important to leave or complete the tile. Search for goodies (with prudence). Caveat: Don’t forget to check the story for special searches. Most are not available until all the minions have been cleared. Knowing when it is safe to ignore the minions takes some playing time and will change as your mice develop new abilities. Once you feel that you can manage the adjacent minions, charge the ranged ones. Don’t wait until you have cleared away all the close ones. Stay close until you can manage and then spread out to conquer. When there are different types of minions on the board, use ranged attack for the ones that also have ranged attack or have nasty buffs to their attack (like poison or knocked-down) and melee attack on the rest. Elsewhere, Jerry Hawthorne (the designer of this fabulous game) has said to house rule whether the cheese gets added. We immediately house ruled that a cheese was not added as long as there was at least one minion on the tile at the beginning of that mouse’s turn. As we have played more, though, I hae seen that this happens with peculiar frequency for my campaign group. Maybe we are exploiting our own convenient house rule. So, I think we will switch. In any case, either is accceptable, but think about your play/campaign group for which is appropriate and don’t hesitate to change if you find that you have been too strict or lax for the group to enjoy the game the most. Just a simple tip. Put a cheese token on the Roaches Initiative Card if they are “Greedy Roaches” as a reminder that their cheese goes to the minion cheese wheel. 1) It can only be played in a space that is completely surrounded/blocked in by other tiles. This tile “magically” fits the landscape on all four sides. 2) If there is no such “land-locked” space when the tile is drawn, it is put back in the stock of tiles. 3) If there is a “land-locked” space when the tile is drawn, it must be played. 4) If there are more than one such space, the player can choose where to play it. If you like the ability to hamper another player by locking in an important space, then this house rule is not for you, but if you find it more frustrating than strategic when one of these spaces happens, this might relieve at least a little of the frustration. If your version did not come with the handy tile bag, here’s a quick solution. This was the case when we first picked up this fun game. Look to see if you have an empty Kleenex box around. The cube size is perfect. The plastic flaps at the top of the hole keep the tiles in for mixing and allow most hands in far enough to pluck out a tile. The box is easy to pass around, less fiddly than a limp bag, and can be decorated easily if you want something more thematic. The box can also fit the other bits in baggies, so you have a small carry box to travel with the game. There is also an endless ready supply of replacements if the box gets damaged. I haven’t seen any tips here of this sort, but have heard elsewhere (no disrespect to the video reviewer) about reading body language, ticks, and quirks of the clue-giver to read more from their clue than what was specifically said. Having grown up in a bidding card game family, I have been “trained” to not give any information this way and not to permit it from others. Now, in Hanabi, you are only cheating yourself, not the other partners, if you share additional information this way, so you are welcome to it. But in games I play we take a strict house rule against it. I believe the game is intended to be played through information and inference, “What was the clue you gave me?” “Why did you give me that clue?” “Why did you give me that clue now?” These are all “valid” inferences to determine what your next play or future play should be or should not be. But pointing out cards in a particular order or making voice inflections to communicate more information makes this a very different game. 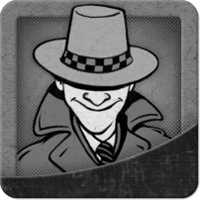 This game is all about limited “table talk” – the information shared through clues and inferences from clues. If you have competitive gamers at the table, the house rule regarding any additional table talk beyond what is expressly permitted in the clues might be very strict. If you are playing with younger players or, in my case, an aging parent, you might allow additional table talk (without destroying the basics of the game). You might ask the person periodically, “What do you know about this card?” (since they have it set aside in their hand) or similar questions to keep their mind focused. 1) The side of the hand new cards are added – always use the same side. 2)The opposite side of the hand will then have “old” cards – the first of which will be the discard if the player has no other play. There are many great strategy tips here already, so here’s a logistical one. If you have the basic deck (that is, not the large cards with table stands), a set of card holders (the kind you usually use for the kids who can’t hold many cards) are worth the $5. These allow you to position the cards you have received clues in ways to help you remember. They also reduce the wear and tear (oil and sweat) on the cards. There are some that will stand up on the table, too. Finally getting to play Pastiche. Game night with friends so we are going to play Lifeboat and Concept, both for the first time. I’m sure we’ll play some small games in between like; Dead Drop and Lost Legacy. Too little time this weekend, so only a few brief intermissions for gaming. Lost Legacy: Starship, Splendor, and hopefully 1 longerish game like Ticket to Ride or Fleet. Trying out Dead Drop (PnP) and still hoping to get Fleet and Pastiche to the table. Like so many other game groups, six of us will be visiting the Arkham world this weekend with Eldritch Horror on Saturday. It will be bookended by some lighter games like Avalon and Bang. When it is just the two of us I hope to get Fleet to the table and Tiny Epic Kingdoms. I received Tiny Epic Kingdoms this week so will breaking that out for the first time. Unfortunately, it will just be the two of us, so we won’t get the full experience. I picked up Fleet this week, so I hope to play it this weekend. Otherwise I will be playtesting for one of my favorite publishers. Just the two of us, so probably Takenoko, and Eldritch Horror or Dead of Winter. Finally, the monthly game night is Saturday. Looks like we will be playing co-ops; probably Castle Panic w/Wizard’s Tower and Eldritch Horror are the likeliest with a few rounds of Avalon to close. Finally, a weekend at home. Unfortunately, no game group, but we will get Dead of Winter out tonight and hopefully at least one other time and maybe Eldritch Horror. 5 days on the road with just a carry-on so I had to go light. I bagged up Hanabi, Coloretto, Haggis and Coup. @Ob1 It is still in pre-order. There were a few hundred copies available at GenCon here in the states, but otherwise it is not available yet. @Kelly N. Jonathan Gilmour (DoW designer) has suggested a few 2-Player variants that use the hidden objectives. You can find them HERE. I received my copy yesterday. Punched cardboard last night and played today. We only had 2 players so did not get the full effect, but had fun. My wife looked worried when she saw all the cards and bits but we hit a stride after a round or two. @inmarg We usually play 3-5 times whenever it hits the table. We don’t stop because we are bored, but because we are beat! Maintaining this level of intensity for about an hour or so is all we can handle. Similar to Dark Pharaoh, I didn’t know anything about this game until I read it here. I bought it the next day. I love Space Cadets Dice Duel, so this is right in my wheelhouse. They are also available in different languages. Question: Is there any need for both Haggis and Tichu? There are obvious comparisons. Having cut my teeth on trick-taking games, I am intersted in either/both of these games, but am leaning toward Haggis since most of my game plays are 2-player, so I would get more chances to play Haggis. I may have room for Tichu also or instead if there is something compelling to get it. Don’t let those cute little mice fool you. If you are considering this game, but think it is just for kids, don’t let that stop you from buying/playing it. When I first considered buying this game to play with my wife, I was concerned that the game was geared to a very young audience and, while interesting to play, would not hold our gaming interests. Having spent many nights dying/surviving on the shores of “Robinson Crusoe’s Cursed Island,” this cute little game was going to be a cinch. Right? Not so. The game is a fantastic story for all ages and just tough enough to beat each chapter along the way to keep you on your toes and to play through some of them a couple times before reading on. While this game will absolutely interest young gamers, it isn’t just for them. Some commenters have suggested that this game is too easy. My game group is a mix of avid and mostly casual gamers and has played it 4 times now. In all but the first time (in which the investigators got routed) the game has been literally one, maybe two ticks of the clock from going the other way. So far the investigators and bad guys are even at 2-2. The game appears to be pretty tight on the success rate to me. Unfortunately, I have not been able to play this yet, but I have been researching for the day that I do. Box of Delights (Ricky Royal) has a great play-through video series that is informative and fun to watch. It is available HERE on BGG. I will play just about any game if the experience of playing is fun, which often has more to do with the other players and their enjoyment of the game than my enjoyment of the game itself. I prefer to play games that require logic, skill and strategy, but also enjoy the turn of a friendly card or a crit roll. There is a a satisfying feeling at my very base when I have a "mittful" of cards, am rolling a load of dice, or am solving a puzzle (physical or virtual). This has been my pleasure since early childhood, which was several decades ago.